As I worked diligently in my classroom last week (for the hours I wasn't in meetings or retreating with the 8th graders) I started off my year overwhelmed yet again by my to-do list. Last year I got hired late in the summer, so some things were never fully unpacked and organized how I'd really like them, and at the end of the school year, I ran out of time and put things in closets thinking I can do it in August. Well, August has come and gone, and it's still not fully done. I was in my room on Saturday until the last minute possible. I left knowing that anything on my list that was computer work would be done this weekend at home and thinking Well, it's as ready as it's going to be. 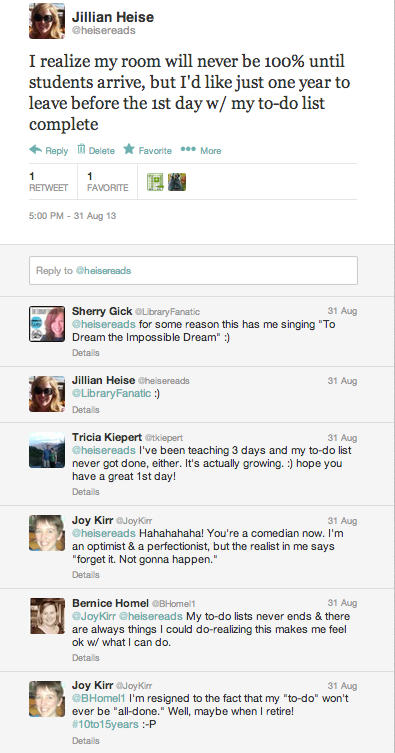 Then I tweeted my thoughts and got quite the response, and once again I was reminded of why it's so helpful to know I'm not alone. I spent time in June reflecting on the year and considering student feedback and inspiration from edufriends' classrooms, and decided to change from desks to tables in my room - meaning I had to find enough in the building and rearrange computer tables in my room to make it happen. So, admittedly, there was some extra setup to be done this year. After a year in at this new school, I had a better idea of what to do with some bulletin boards, and curriculum prep, and we have PBIS implementation happening, and ideas I had from seeing things around the internet this summer, and it's my first time looping with a group (half of my students will be the ones I had for 7th grade now in 8th grade, and the other half will be the new 7th graders who I know a little bit from seeing them in around school in 6th grade). I'm exhausted just thinking about all of that. But you know what? I'm also invigorated. I love teaching. I love my students. I love thinking about how to set up a learning environment that will be comfortable, welcoming, inspiring, and give everyone in the room what they need. But at the same time...is there any other job where one has to completely pack up everything in a room at the end of the year, then unpack it all again to start the new year? On the one hand I find it tiring and tedious at times, but as I stood on the side looking at my room rearranging in my head figuring out my vision for the year, I also realized what a unique opportunity it provides for teachers to reimagine and improve the environment each and every year. It needs to change a little for those students who are returning and to make adjustments for changing needs. And whatever wasn't completely finished off my list is nothing that can't be finished in the first week. It's nothing that will really affect the environment that much the first few days. It's as ready as it's going to be (because I can't get back in until the first day)...now it just needs students. I am definitely ready for Tuesday. 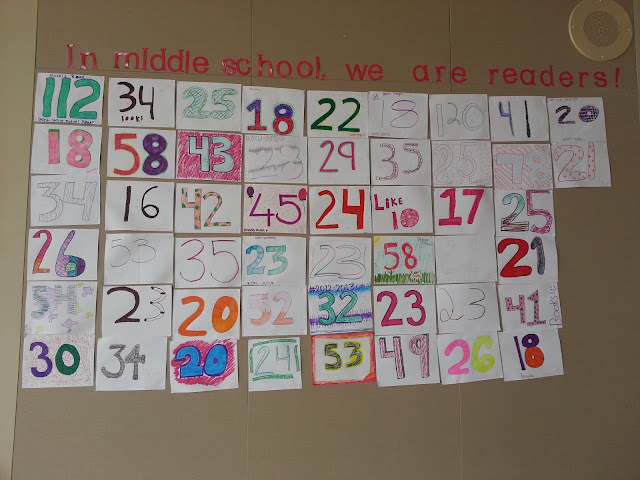 The last day of class in June, I had my 7th graders write Words of Wisdom for the incoming 7th graders. Instant beginning-of-year bulletin board decoration and insight to help the new students be successful. Hoping it also builds community between the two grade levels. Plus it gives me something to display on boring cabinet doors near the door. 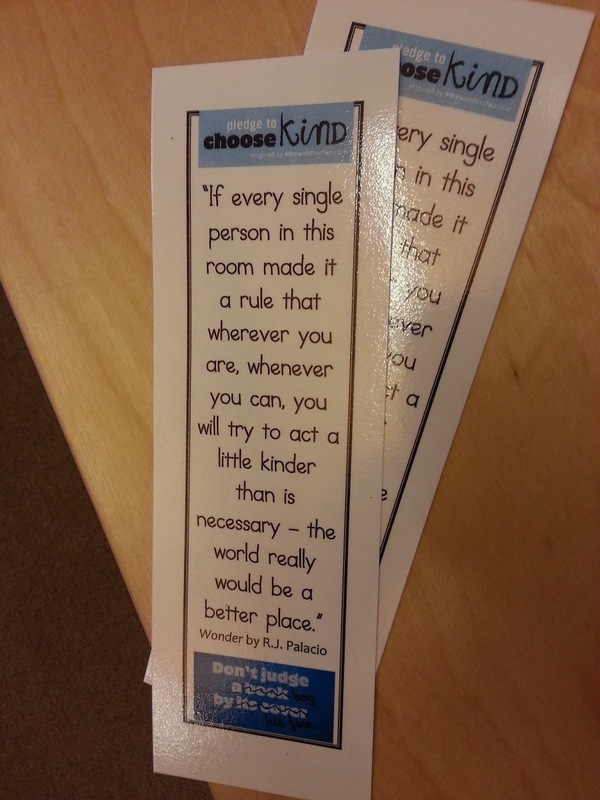 Bookmarks (inspired by Pinterest!) I will be giving each student the first day of school. Both grade levels had WONDER read aloud to them last year, so I'm hoping this will be a nice reminder for our learning community to start the year. 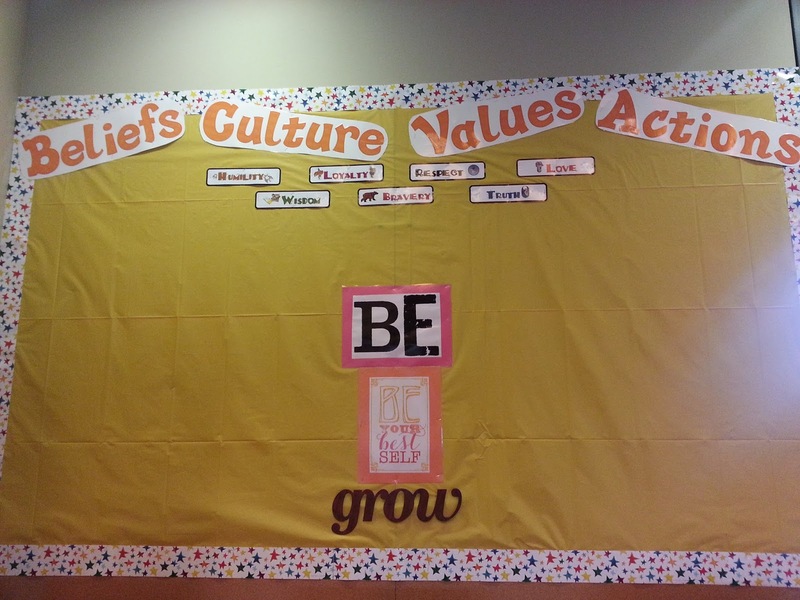 I've seen the "Be" bulletin board idea on Pinterest & wanted to incorporate it into my culture and identity board in my classroom where the school's Core Values are displayed. Instead of me just adding all of the "Be" words around it, I'm going to have students create their own at the start of the year so it becomes a student-created display and reminder for our community. 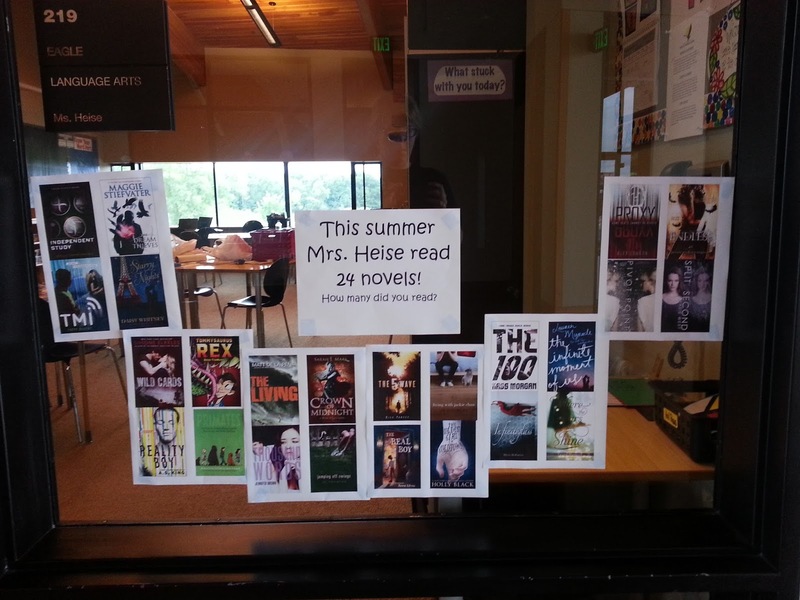 I can't have a blank "This year Mrs. Heise has read __ novels" window to start the year, & I wanted to share what I read over the summer, so I made a quick display of my summer reading novels. I was going to include all the pictures books, too, but since I read over 90, I didn't have time/space to add them. I did add a handwritten line sharing the number of picture books I read though. 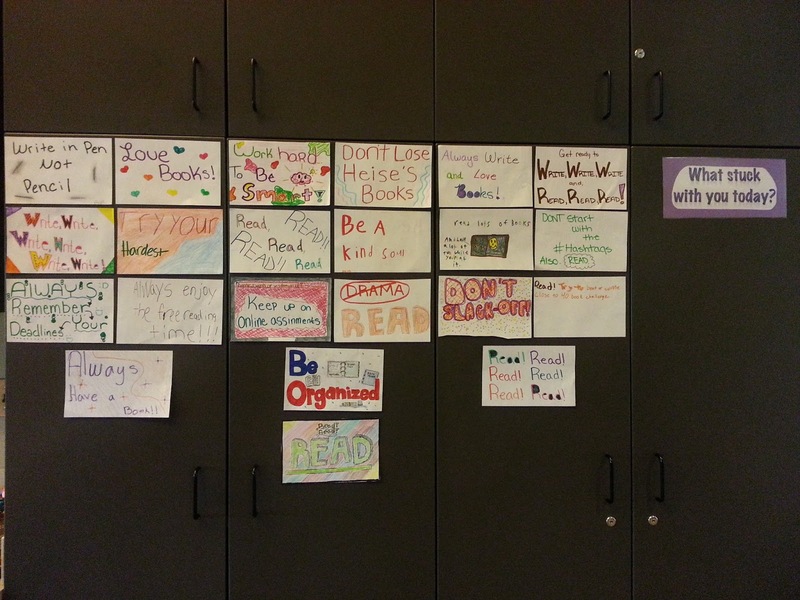 One final board I did, which I don't have pictures of, is a "These are a few of our favorite books" hallway board by the 6th-8th grade lockers. I made a sign myself that says "Mrs. Heise loved:" and have a couple of book covers of my favorite books to recommend right now. I'm going to have each student make their own sign to start the year, and then it will be an interactive board throughout the year that they can change or add to as they have a new book to recommend. Will promote reading throughout the building and serve as a way to share book recommendations student to student outside of our classroom. How have you set up your classroom this year? That is awesome!!! Can I work with you one day!? I love that! 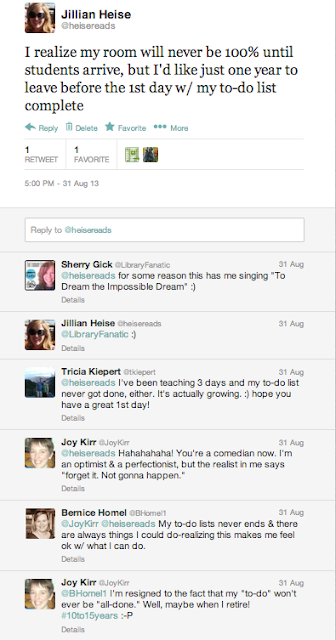 Thanks for sharing the pictures of your classroom and your honest struggles. I think you said it best when you said the classroom isn't ready until the kids are here. Have a great year!